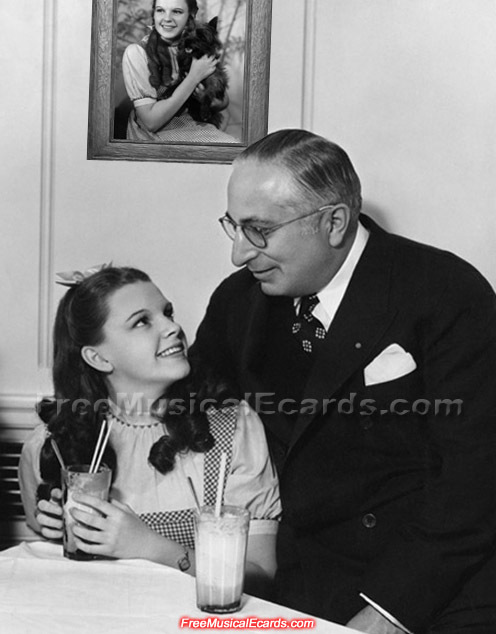 MGM boss Louis B. Mayer having a little chat with Judy Garland during her break in filming The Wizard of Oz. Notice that Judy Garland is wearing a watch? This wasn't part of her costume and she was required to take it off during shooting. Judy Garland was very beautiful and talented in her role as Dorothy, she had that Hollywood superstar look about her. 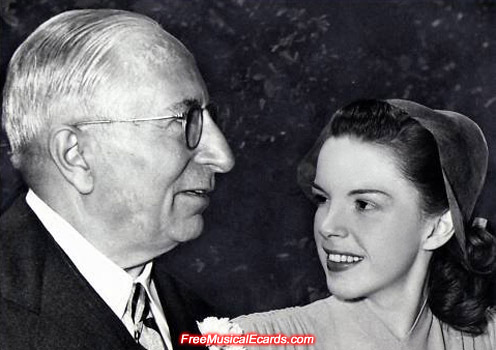 Photo of Judy Garland and Louis B. Mayer in happier times during her wedding to film director Vincente Minnelli. Movie stars of Hollywood's Golden Era expressed mixed feelings towards Louis B. Mayer, they either loved him or hated him. 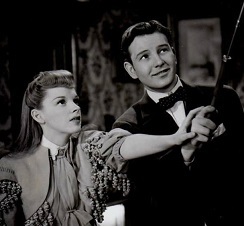 Judy Garland once regarded him as a father figure but she departed MGM on bad terms. Louis B. Mayer is considered by many as a powerful boss who controlled Judy Garland's life, and put profits before her welfare. I never see this footage. It seems she is singing. 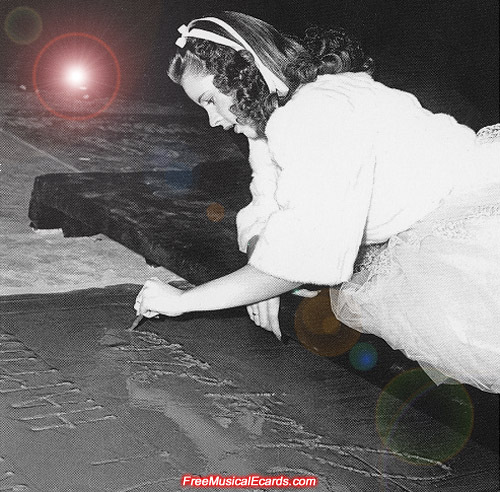 We have some rare Judy Garland content but I forgot about that one. You're right though, she is obviously singing something. 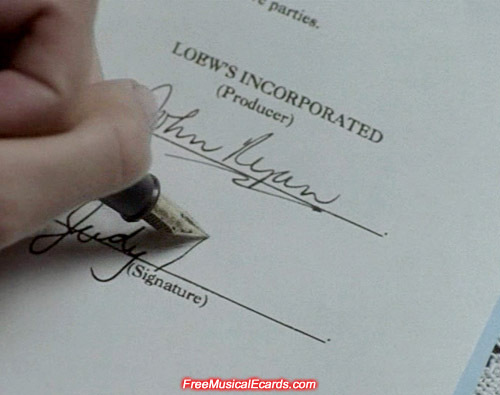 Judy Garland playing tennis with her right hand demonstrates her ambidextrous abilities because she writes with her left hand. during the Hollywood premier of Babes in Arms in 1939. I really have to share the gif(s) pictures. It is really funny.
" what Judy said and expressed. Judy: Yup, I'm ready! Come on! Referee: Hey~ Judy, where you going. The game is not over yet! It's always good to see Judy Garland having some fun. In the footage, the commentator said that she was winning so I'm sure she played pretty well.